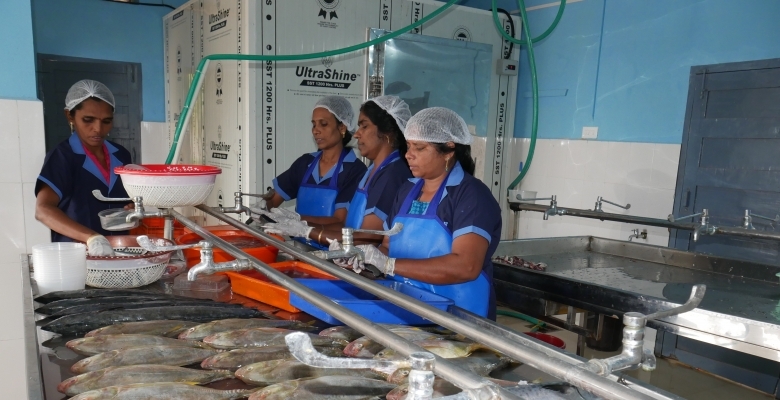 The Inaugural function of the Fresh Fish Processing, Preservation and Marketing Initiative was organised on 18 October 2018 near the Processing Centre of QSSS, Harbour Road, Vaddy @ 16.00 Hours. The Public Function commenced with a prayer song by QSSS team. The Welcome speech was rendered by QSSS Director Rev.Fr.Alphonse.S.He extended his heartfelt welcome to all the dignitaries in the Dias, the women folk and staff. In his address, he outlined the need for this venture, precisely the need for the creation of employment opportunities for women aimed at income generation, and also for the humanitarian charities that QSSS is deeply involved and engaged. 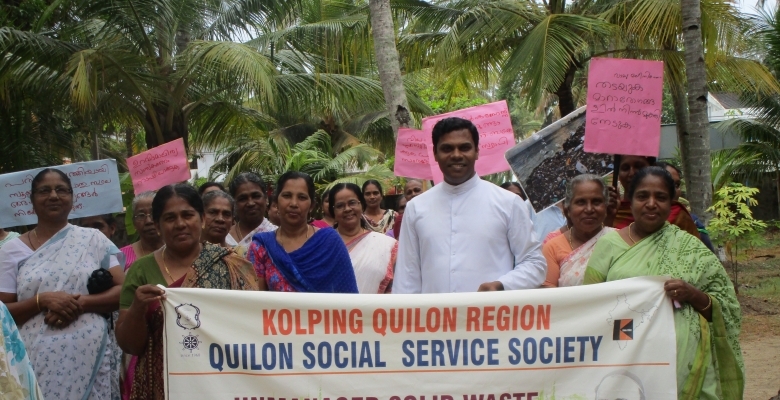 He said that after the processing activity, the processed fish will be neatly packed and the will be sold at 8 different vantage points of Kollam City by QSSS SHG women folk. 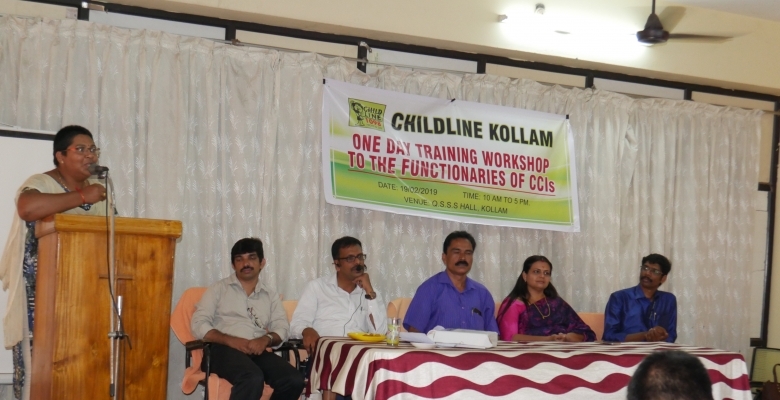 The Presidential Address was delivered by Honorable Mayor of Kollam Corporation Shri. Rajendra Babu. He acclaimed the ardent efforts of QSSS in the implementation of various projects beneficial for the poorest of the poor in the community and for the quality maintained in the execution. He also reiterated the fact that he had never refused any invitation by QSSS for events of this sort and he asserted affirmatively that the corporation will always be a zealous supporter of the activities of QSSS. 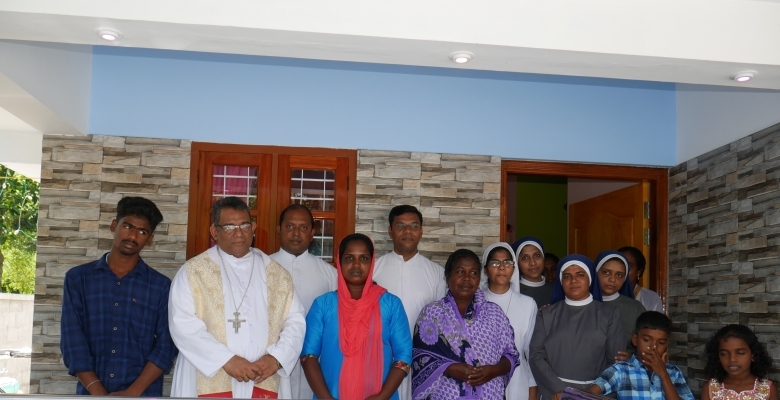 Followed by the Presidential Address, the Blessing service was done by our beloved Bishop of Quilon, Most Reverend Doctor Paul Antony Mullassery. His Grace blessed the Processing Centre and the persons involved and engaged in this project. He spoke about the mounting employment crisis persisting in the society, mostly among the marginalized and underprivileged communities. He emphasized on the need for start-up ventures and small and micro level enterprises for women. The Benedictory Address was delivered by Vicar General Rev.Fr.Vincent Machado. In his address he stressed the need for the qualitative features of the deliverables and he affirmed that the quality of the products will never be compromised by QSSS citing the example of having consumed more rice with the dry fish from QSSS Dry Fish Outlet, the other day. The Centre was inaugurated by Shri N.K. 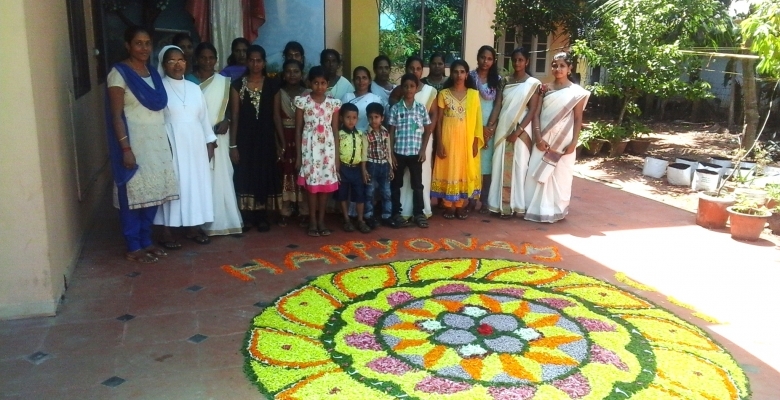 Premachandran M.P. 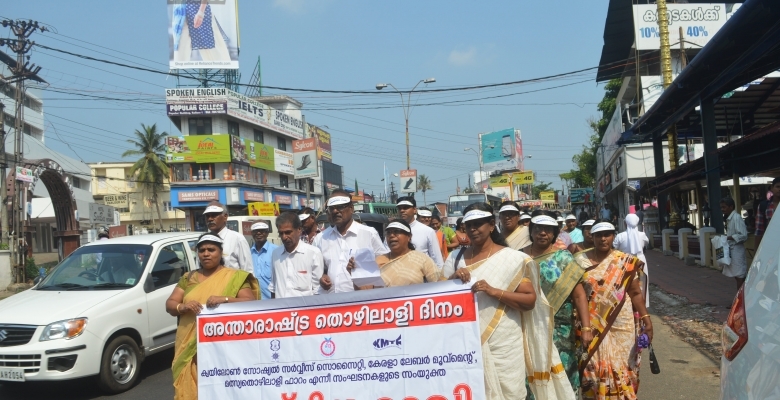 of Kollam Parliamentary Constituency. He expressed his solidarity with almost all the activities and ventures of QSSS and that he felt proud to be a frequent invitee for all the events of QSSS. He lauded the efforts of QSSS in bringing up the concept of a just society and the hard work done by QSSS in disaster preparedness, mitigation and management and also in the aspects of employment generation. 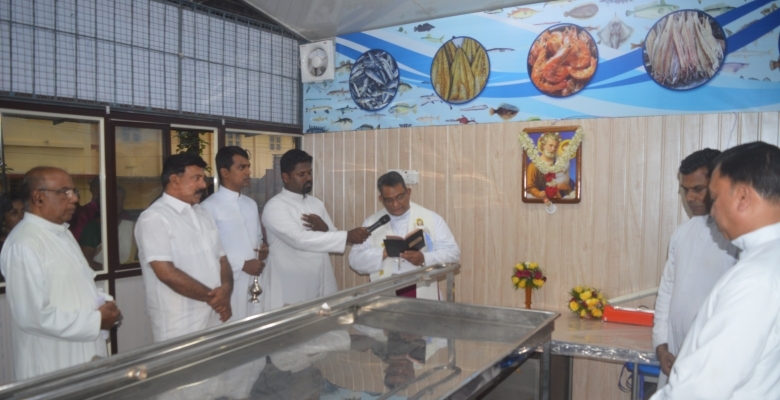 The inauguration was followed by the first sale of the processed fish. The first sale packet was handed over to the Ward Councilor Ms.Sheeba Antony by Episcopal Vicar Rev.Dr.Baiju Julian. He invoked that this venture like the Dry Fish Unit launched by QSSS, be a tool for replication by local self bodies and the government with the objective of creation of job opportunities,and for the self esteem and dignity for the fisher women. Ms.Sheeba Antony said that as the councilor of this ward where the activity is implemented, she will always be helpful in the smooth continuance of the project. Next the working partner of this project Shri.Sepherin explained the logistics of the project, precisely the mode of procurement, the processing, the preservation aspects and the final sales of the product. He said that at any stages, hygiene factor and the continuity of procurement will not be compromised. 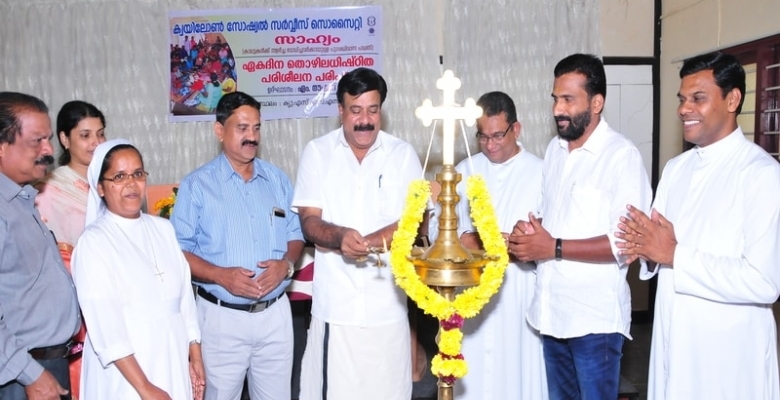 The vote of thanks was delivered by Rev.Fr.Joe Antony Alex. He expressed his gratitude on behalf of QSSS for the eminent personalities who participated in this programme, even at short notice period. He also thanked the women involved in the processing and marketing, for their willingness to be part of this project. Rendering his prayers to all those who attended this programme, Fr.Joe concluded his vote of thanks.